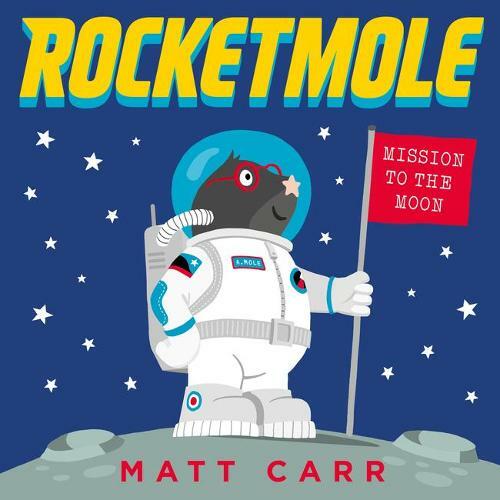 A brave and bold new picture book by Matt Carr, perfectly timed for the 50th anniversary of the first moon landing. Meet the mole on a mission! Armstrong the star-nosed mole doesn't dig living underground. His friends think building a rocket to go to the moon, alone, is an astronomically bad idea, but Armstrong is determined to boldly go where no mole has gone before. On the moon, Armstrong bounces around in his space suit, but soon starts to miss his cautious mole mates. How can a mole with big dreams have it all: adventure AND friendship? I picked this up having read and loved Matt Carr's Spyder at storytime last year. It went down a storm with kids and parents alike and Rocket Mole is in the same vein.